Spencers Solicitors | World Car Free Day - What are the alternatives? World Car Free Day - What are the alternatives? Traffic jam? What traffic jam. In a perfect world, they wouldn’t exist. Maybe in an alternative universe, but considering that most people don’t live within walking distance from work and the time pressures on our everyday lives, travel by car is often a necessity. Each year, the possibility of a world without this mode of travel is celebrated through World Car Free Day where, just for one day, people give up their cars. The festivities this year fell last month, when organisers hoped to encourage a permanent change to benefit cyclists, pedestrians and others who do not drive cars. The reduction of cars on our roads would not just be beneficial for the environment, but would also be positive from an economic and health perspective. Cycling is a fantastic example of this, and is being taken up by an increasing number of commuters every year. Most cyclists are well aware of the rules for cycling on the road, and the majority follow them responsibly. From wearing a cycle helmet, reflective clothing and always looking around before moving away from a kerb, to taking care when approaching traffic lights. But it's always good to refresh your memory - even if you've been cycling on Britain's roads for many years - to keep you sharper and safer on the roads. 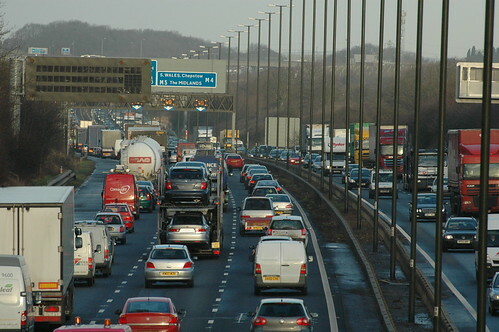 Britain's roads are changing with the growing number of cyclists and also drivers. And therefore drivers and cyclists are being forced to share the road with growing numbers of both, changing the landscape considerably. So, checking up on what your rights are on the road as a cyclist can put you in a stronger position when out cycling. But whilst cycling has boomed in popularity recently, travelling car-free is not all about the bikes.....! Horse riding is still a very popular hobby for many, particularly in more rural areas, and can prove a great alternative to using the car. But, safety is crucial here and it is extremely important to take necessary precautions when riding on the roads, especially in the winter months. According to the British Horse Society (BHS) there were a reported 183 road traffic accidents in a single year due to the negligence of both riders and motorists, with figures expected to increase. It is also widely understood that horse related road traffic accidents are actually grossly under reported. Whilst riders can make these efforts to ensure they are safe on the roads, interaction with motorists can still cause problems. For drivers, the vulnerability of riders must be taken into account, and horses should be given plenty of room on the road with efforts being made to drive past slowly. Most importantly, motorists shouldn't rev their engines or sound their horns near horses. In return, riders should be courteous to other road users, and thank drivers who have slowed down for them. We hope that in making small changes, we can promote change on a bigger scale so that we can be car free for more than one day!